Lisa Leckie, 25, was found dead in her London, Ont., apartment on March 24, 2009. The London Police Service held a news conference on Friday to more details about the case. Leckie's eldest son, Sean, who is now 18-years-old, also appealed to the public for information in a video statement. 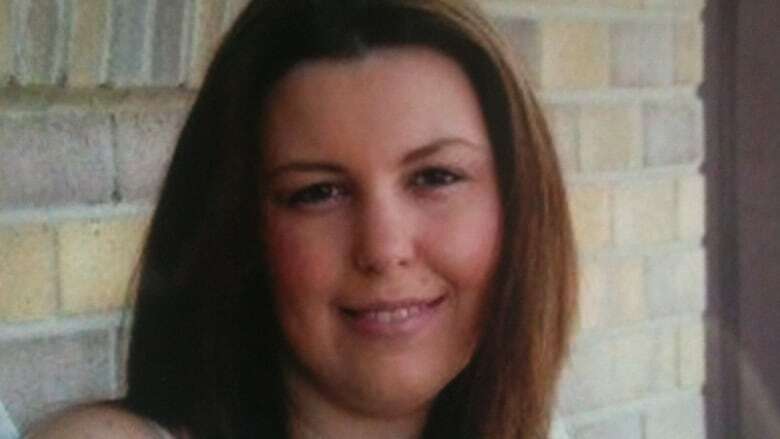 It's been 10 years since Lisa Leckie was found dead in her London, Ont., apartment, but police and her family are still hopeful her killer will be held responsible. The London Police Service held a news conference on Friday, appealing to the public for information and sharing more details about the case. Leckie was 25-years-old and had two sons at the time of her death. She lived in a third-floor apartment at 390 Southdale Road East with her common law husband and youngest son. Her partner had just returned from working the night shift when he discovered her body in the living room at around 7 a.m. on March 24, 2009. Their eight-month old son was found safe in his crib. An autopsy revealed Leckie had died of asphyxiation. Police believe she knew her killer and said on Friday that a note was left behind by the culprit. Det. Sgt. Alex Krygsman would not discuss the content of the note, but said it was written using an old "impact-style model" typewriter with a fabric ribbon — something that would have been unusual even a decade ago. "We're hoping that that will tweak members of the public who might cast their minds back to somebody who would've had a typewriter like this and may have had knowledge of Lisa," Krysman said. 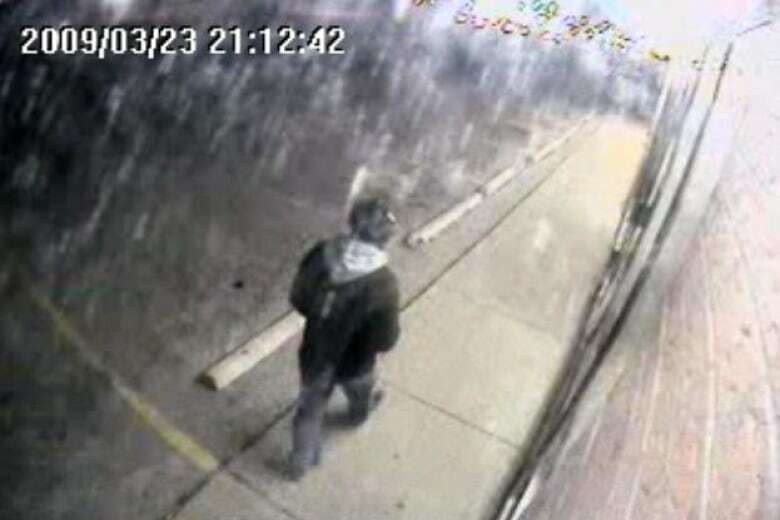 Police also re-released a surveillance video taken near the apartment building at 9:12 p.m. on March 23. The video shows a man, described as 5'10" and approximately 200 pounds, that investigators are hoping to identify and speak with. "While there are no charges yet, the investigation has progressed," Krygsman said. "We also firmly believe that there are those is our community who have information about the circumstances surrounding Lisa's murder and the person or people responsible for it." Leckie's oldest son, who was eight-years-old when his mother died, remembers his mother as a kind woman who did her best to raise her two children. Sean Leckie, who is now an 18-year-old college student, appeared in a video that police played on Friday. He said the news of his mother's death didn't truly set in until a few weeks later. "Many days I would just lay in bed staring at the ceiling, wondering how any of it could have happened. I didn't know how to feel," he said. "Every time something new would happen, I'd think, 'She's not here. She's not here to see me get glasses. She's not here to see me graduate fourth grade, play an instrument, find who I was.'" Sean Leckie asked anyone with information about his mother's murder, no matter how small it may seem, to contact police. "I want to know why someone would want to hurt my mother and everyone around her so badly." Det. Sgt. Krygsman said the investigation remains open and active. In the last decade 80 different officers have worked on the case and more than 300 interviews have been conducted, he said. "The family of Lisa has been tremendous with us as we've worked through this. In a perfect world we wouldn't be here, but we are and we're going to continue to move forward on this," Krygsman said. Police are asking anyone with information to contact the Major Crimes Section at 519-661-5671 or Crime Stoppers.